Thanks to Krgin for the heads up. In this version, the film follows Holt Farrier (Farrell), a former circus star who finds his life turned upside down when he returns from the war. Circus owner Max Medici (DeVito) enlists Holt to care for a newborn elephant whose oversized ears make him a laughingstock in an already struggling circus. But when Holt’s children (Parker and Hobbins) discover that Dumbo can fly, persuasive entrepreneur V.A. Vandevere (Keaton) and an aerial artist named Colette Marchant (Green) swoop in to make the peculiar pachyderm a star. Arkin will play J Griffin Remington, a Wall Street tycoon. EXCLUSIVE: The cast of Tim Burton’s Dumbo is starting to take shape as Game Of Thrones alum DeObia Oparei has signed on to play a character named Rongo in the live action adaptation of Disney’s 1941 animated classic. 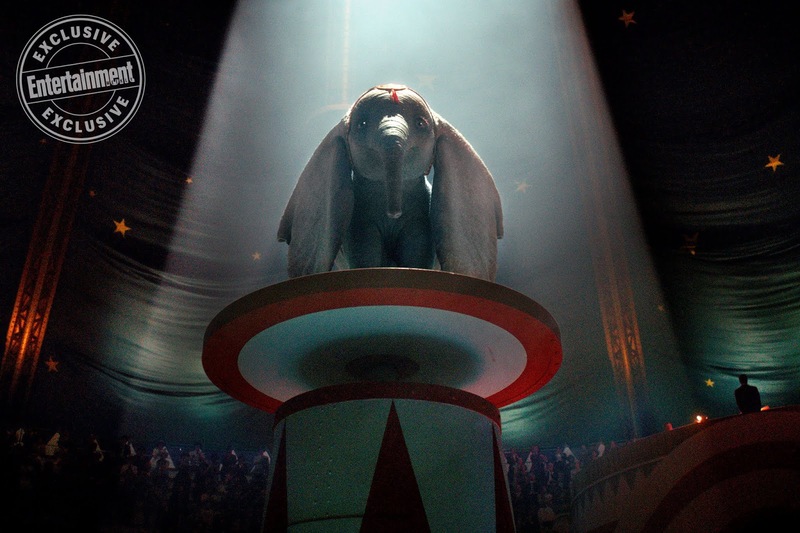 The original story followed an ostracized baby circus elephant who strives to achieve his full potential. If a deal closes, Keaton would play the man who acquirers the circus from DeVito’s character in order to exploit the lovable elephant and his mother. 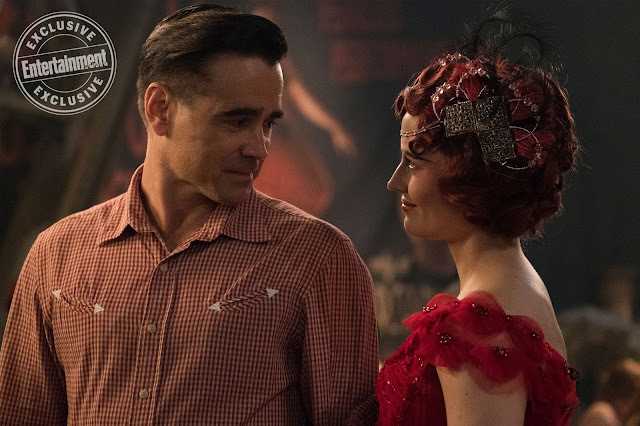 EXCLUSIVE: Colin Farrell is in negotiations to join Tim Burton’s Dumbo, the live-action adaptation of the 1941 animated classic for Disney, which is casting up now. Should the deal make, he’ll play the role of Holt, the widowed father of two kids from Kentucky and he’ll join Eva Green and Danny Devito in the project, which is edging closer towards a production start. Farrell has a track record at Disney, having played the fun-loving father of the young Mary Poppins author P.L. Travers in Saving Mr. Banks, which took $117.9M worldwide after it was released in 2013. Green is in talks to take on the role of Colette, a French trapeze artist who works for evil top circus villain Vandemere (which is still looking to be cast) while DeVito would play Medici, the man who runs a smaller circus that gets acquired by Vandemere. EXCLUSIVE: Eva Green is in talks to star in Tim Burton’s Dumbo, the live-action adaptation of the 1941 animated classic for Disney. Sources tell me she’s being eyed for one of the three main adult roles in the title, which is edging closer and closer towards a production start. Talks between Will Smith and Disney have broken off, and he will not be starring in Dumbo, the Tim Burton-directed live-action adaptation of the classic 1941 animated film. The studio continues to move aggressively toward a production start with a script by Ehren Kruger about the big-eared, lovable elephant. This was an intriguing family film option for Smith, but he had not committed and it didn’t work out for the usual reasons, including salary and scheduling. Plot details are being kept under wraps, but sources say that one thing the new version does is expand and deepen the circus aspect of the story. The character that Smith would play, if a deal is made, is that of a father who works at the big top and whose children develop a relationship with the pachyderm. No offer has been made, but conversations have taken place. EXCLUSIVE: Disney is circling with Will Smith to star for director Tim Burton in Dumbo, the live-action adaptation of the classic 1941 animated film. The studio is moving aggressively toward a production start with a script by Ehren Kruger about the big-eared, lovable elephant. This is an intriguing family film option for Smith, who is also working toward a start date with Sony Pictures on Bad Boys For Life, a reteam with Martin Lawrence which has Joe Carnahan directing his script. Smith would join a parade of big stars who’ve starred in these Disney films, who have included Angelina Jolie in Maleficent, Johnny Depp in Alice, with Emma Stone to star as 101 Dalmations villainess Cruella De Ville and Dwayne Johnson aligned with Jungle Cruise. Stay tuned on this. 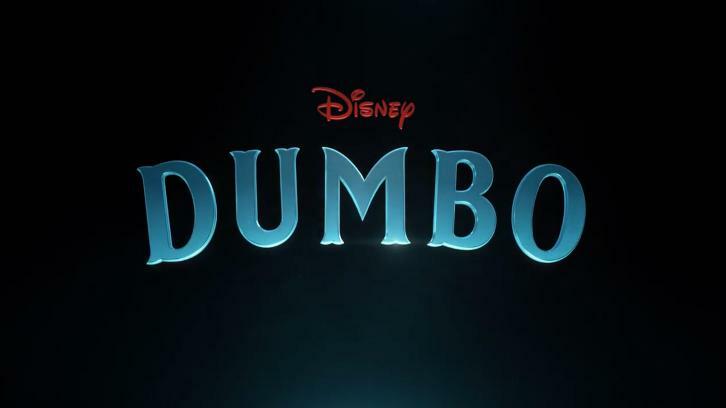 Tim Burton is planning to direct a live-action version of the 1941 animated classic Dumbo for Walt Disney Pictures. Various sources are confirming; the news was broken today in The Wall Street Journal. Pic will be a mix of CG and live-action. Ehren Kruger is writing the script and sharing producing credit with Justin Springer (Oblivion, Tron: Legacy). Burton’s most recent film was the Weinstein Co. biopic Big Eyes, about pop painter Margaret Keane whose husband claimed credit for her work. It earned Amy Adams a Golden Globe for Best Actress in a Comedy or Musical.